Your child stands across from you, staring at you with big, round, angry eyes. Red in the face, teeth clenched, and hands in fists, your screaming child is overcome with anger. You might even feel scared, intimidated, and unsure of what to do next. Or maybe you go deep into anger yourself. How DARE my child yell at me like that? Anger is a scary and uncomfortable emotion. No one wants their children to be angry, and they certainly don’t want disrespect and defiance that can come with the anger. 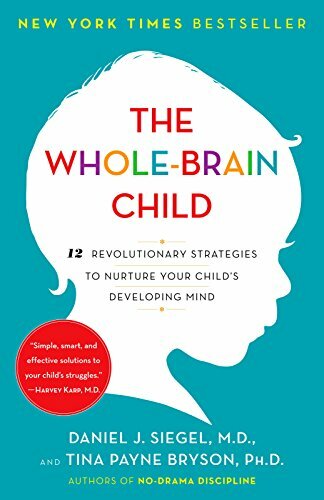 When our children get upset and angry they aren’t functioning in their thinking part of their brain, they are in their primitive emotional brain. They’re literally so overwhelmed with emotions that they can’t think straight. The same applies to you. You can’t address the situation well when you’re brain is flooded with emotions. 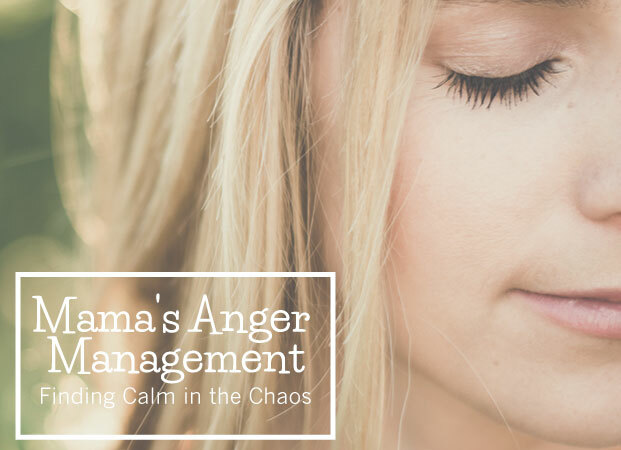 If your child is angry and you respond to that anger with more anger, then your child’s anger elevates, which elevates your anger, and then you’re in a vicious angry cycle. Did you get that? Basically, responding with anger causes more anger. It’s your job, as the parent to be the calming force to de-escalate the situation. 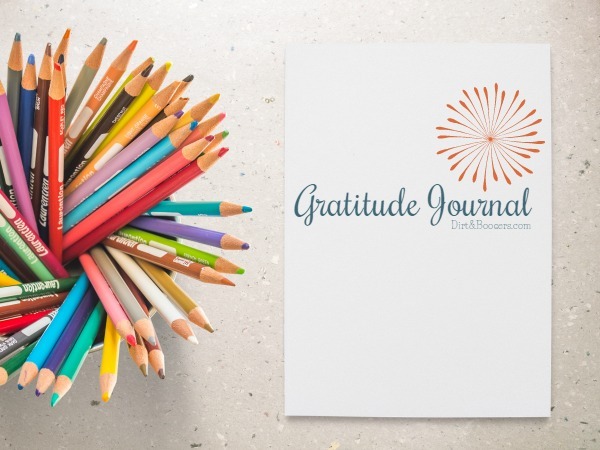 Take a few cleansing breaths, remind yourself that this isn’t an emergency, or walk away for a few moments until you can address the situation calmly. My 50 Calm Down Cards and The Stop Yelling Handbook can help with this. Then, take steps to help your child. Whatever you do, do not discipline or punish if you’re angry, it will just make it worse. It’s okay to walk away for a bit and come back when you’re calm and ready. Why did my child just blow up? 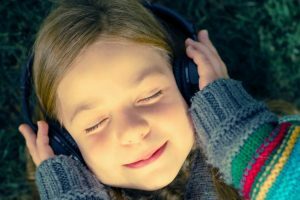 What does my child feel right now, and why? Were they caught off guard? Take a few minutes and look at what’s going on behind the behavior. Then, once they are calm you can help them meet their needs. When your child is upset, they can’t listen to logic, and telling them to calm down won’t work….ever. 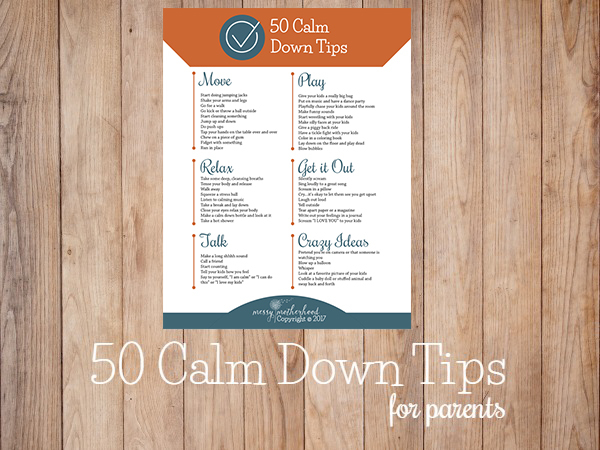 Help your child calm down by letting them know that you get it, you understand why they’re upset. The best way to do this is called reflecting feelings. Just tell your child that see how they are feeling. Wow! You are so mad right now. I know you’re really upset with me. You really weren’t happy with that decision. This does not mean that you agree with their feelings or their behaviors, but that you understand they’re upset and you’re willing to listen. When people are feeling big emotions, we’re not looking for people to fix it, we just need someone to understand our feelings. 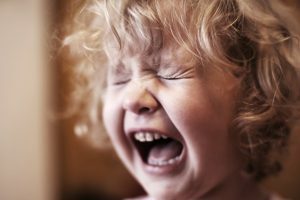 Put aside your child’s behavior for a second, and see your child as hurting. Meet them in the emotional place they’re already in and help them get calm. This tip is explained in detail in the book “The Whole Brain Child.” <—It’s a MUST READ for any parent. 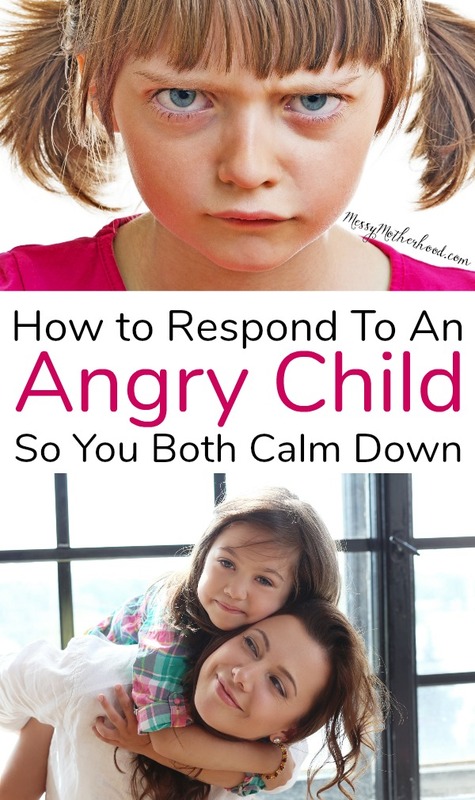 Give your child space to feel their feelings and they’ll be able to calm down on their own…eventually. This is NOT the time to get angry and argue logically with your child. I can see you’re angry, I’ll wait until you’re calm. I know you’re mad, but I’m ready to talk to you when you’re calmer. Eventually, your child will calm down. 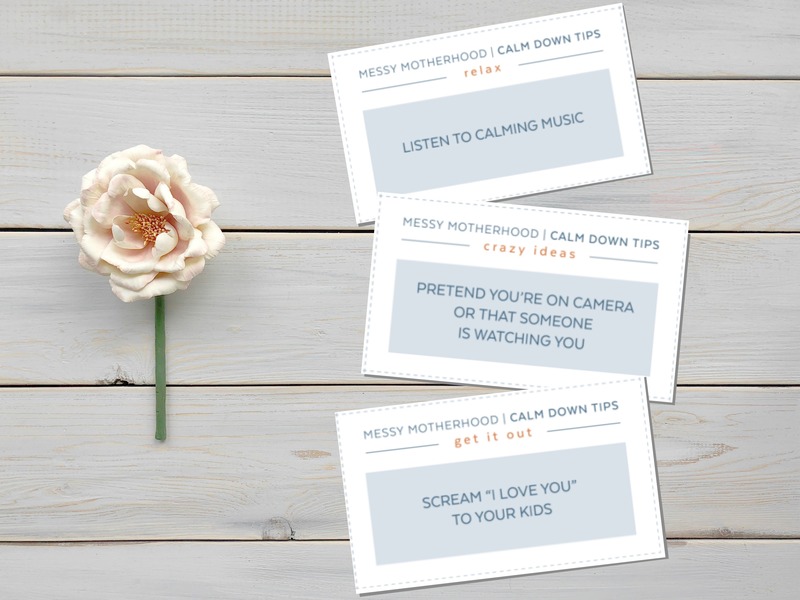 But…what if you’re child wants help to calm down? There are two different types of people in this world. Some people love to be comforted and hugged when they’re angry, and some don’t. If you’re child likes being hugged and snuggled, ask if they’d like a hug to help them calm down. Do not try this if your child doesn’t like physical touch or does not agree to a hug. But for the kids who do like the snuggles, you’ll find that a tight hug can do wonders to calm down an angry child. I’ll never forget the day that my friend came over with her 2.5-year-old daughter. Something had upset her daughter, and my friend got down face to face with her and asked her to take a deep breath and blow out really hard. She and her daughter took several deep breaths together and her daughter’s crying stopped and she was able to calm down fairly quickly. I know that deep breaths work, but it was so cool to see this mama do it so expertly with her child. 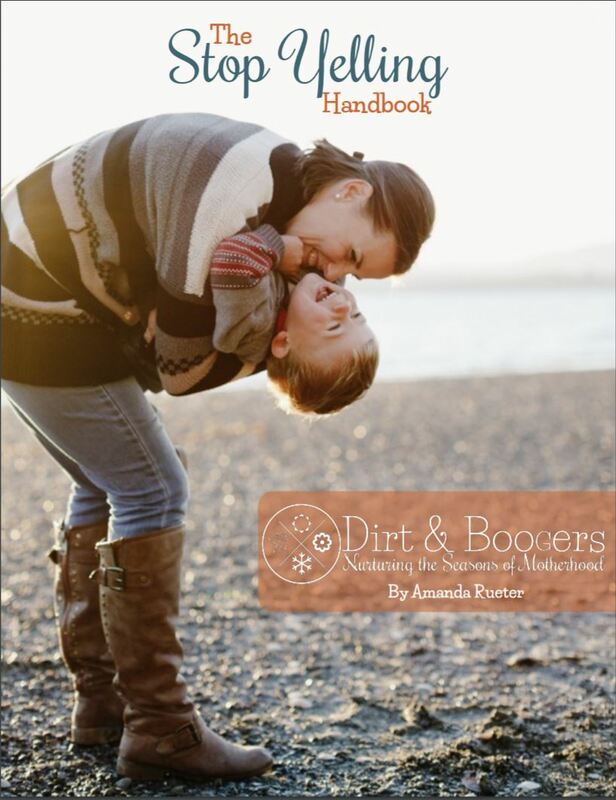 deep breathing together, face to face, with your child. pretend to blow out a candle. Often times, kids don’t have the tools they need to handle their big emotions in a respectful way. That is a big skill that takes time to learn. This is a great teaching moment. 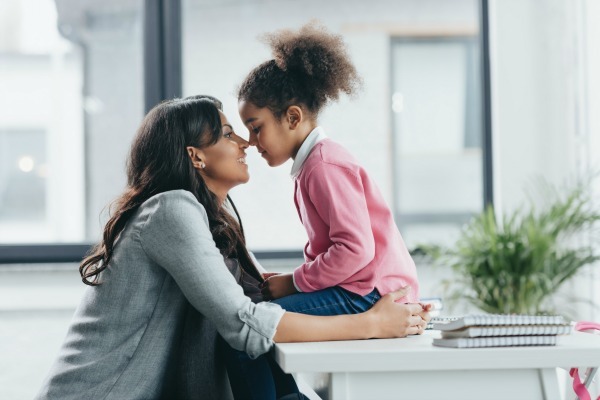 After both you and your child are calm and able to think without all the emotions, it’s time to come back and address the situation again. Start out by doing a small recap of the situation. I saw that you were really upset about ____. Wow, we both got pretty mad earlier. You really weren’t happy about the decision I made about _____. This way, they get that you understand what happened, and you’re willing to talk about it in a respectful way. Then work with your child to problem solve. What do you think we can do next time so this doesn’t happen again? It hurts my feelings and makes me angry when you roll your eyes at me. Can you do _______instead? This is the time to teach the correct way to handle their frustration and anger. Anger happens to everyone, so it’s important to be ready for the next time your child stares at you with those big angry eyes. Remeber to stay calm, reflect emotions, and wait to discipline until AFTER everyone is calm.